This is my favourite cake out of all the ones I've made for my children. One of the first things I thought about when I found out I was pregnant with my first baby was 'how will I decorate the nursery?' closely followed by 'imagine the parties!'. I suppose this alone is quite telling about my priorities(! ), however before Tyler arrived and reality actually hit, I dreamt day and night about my life as The Perfect Mother. Ha! 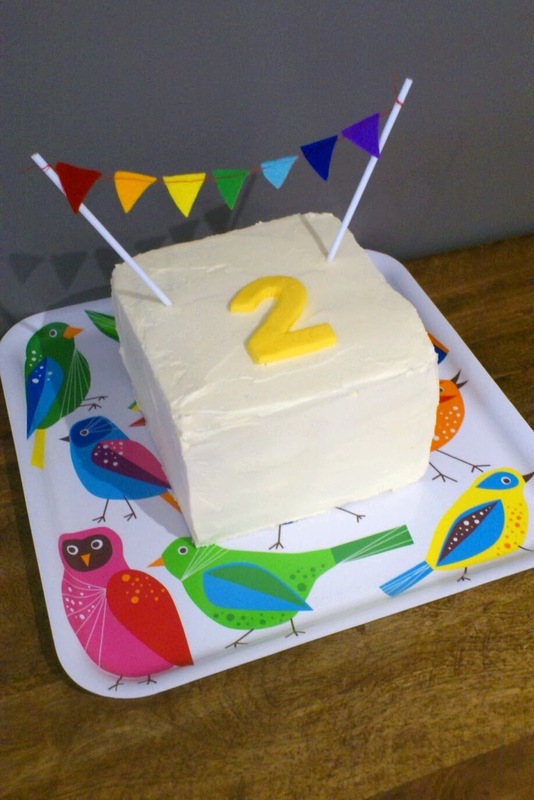 Well that plan is still a work in progress, but I've always loved baking and was so excited when his first birthday rolled around because I got to make a fun cake, throw a happy party, and make food to delight our friends. This was pre-Pinterest mind you, so I was joyfully oblivious to those picture-perfect parties and just got stuck in with getting creative with a theme. Now that Ty is up to birthday number 6 and Holly is at birthday number 4, I thought I'd share the crazy cakes and food I've made for their birthdays: one of the few days each year that I don't give a damn about being healthy. We had a bug themed party in the garden. The bee's thighs melted because it was 40 degrees that day. The joy of January birthdays! We had some fairy bread 'moths', 'snails' made from tim tams and sliced jam rolls, and kool mints as 'spider eggs'. About two weeks out from giving birth to Holly, some Sesame Street cupcakes were about the most I could manage in my heavily pregnant state. He loved them anyway. First and last time I attempt to have two separate themes in one party. Fun but exhausting. Ty had a train theme and Holly a farm theme with a pig cake (because she is a grub). This one turned out AWESOME, he wanted a giant sandwich cake which was really fun to make! He partied at the bowling alley with a couple of friends. We had a rainbow party! She had a thing about robots for a while. She'd walk around arms outstretched like a zombie, saying 'I'm a robot, I'm a robot!'. So we went with that for her party! Super simple this year. He just wanted a chocolate cake and wanted to decorate it himself with his Trash Packs and 'slime icing'. Holly scored two cakes - one very simple 'ice princess cake' (her request) for our family party, then she had her friends over for the first time and we went to a little more effort with a dark purple igloo decorated with lollies and chocolates. We had some pretty party food too - I made these marshmallow things and these chocolate spoons and a starry fruit explosion. So now it's all over for another year... I wonder what we'll be making for Mister 7 and Miss 5? Oh and while we're talking cake... here are some photos of two others I have made; a ducky baby shower cake for my bestie Sarah (note Holly using all her willpower not to touch it), and a 'practice 50th' cake for my boss, complete with edible gold fleur-de-lys shapes.